1. 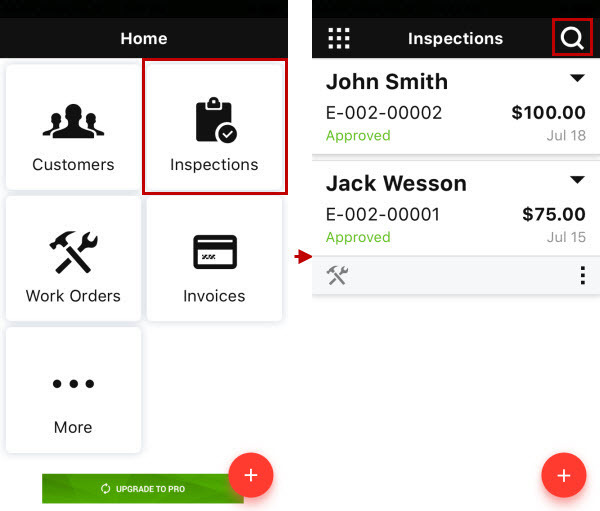 On the Home screen, tap Inspections, and then on the Inspections screen, tap Search. 2. 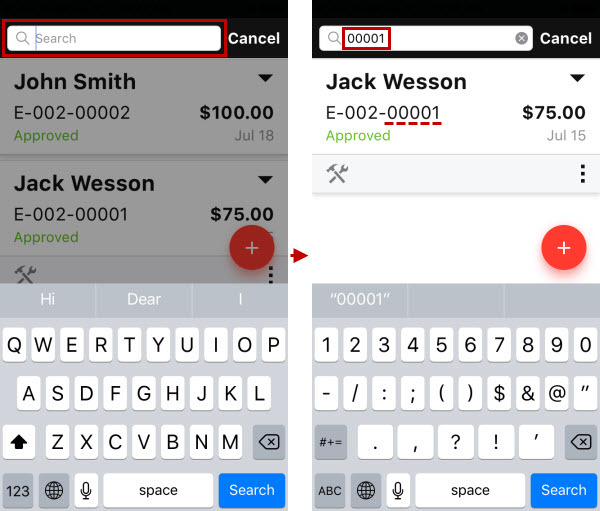 To find an inspection, tap the search box, and start typing the keyword, for example, any part of inspection number. 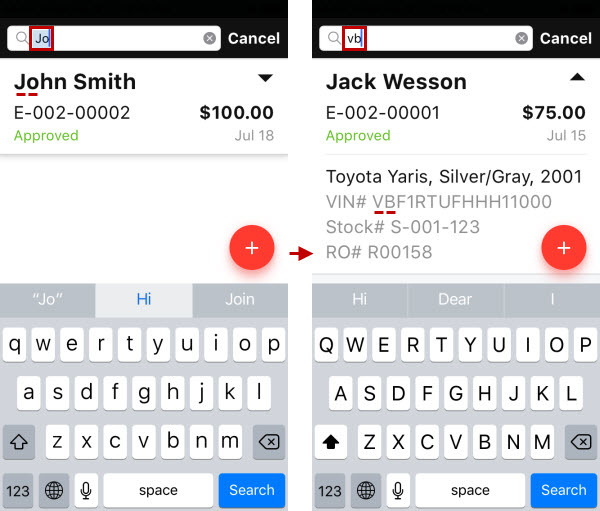 Note You can also search inspections by customer name and vehicle information. Tip To stop searching the keyword, tap Clear in the search box. To exit the search mode, tap Cancel next to the search box.